Samumed Continues to Pour Funding into Wnt Pathway Therapies – Fight Aging! Samumed is noteworthy for the breadth of their regenerative medicine development pipeline, based as it is on a single technology platform, the manipulation of Wnt signaling. Their trials to date are attempts to use variations on this approach to increase regenerative capacity in aging and damaged tissues. The company might be viewed as an early example of the fork in the road for the regenerative medicine community, arising after first generation stem cell therapies have matured. Some groups will produce better, more advanced cell therapies, aiming to improve the survival and utility of transplanted cells. Others, like Samumed, will abandon cell transplants in favor of ways to manipulate native cell populations to produce similar outcomes. At least a few of the future successful companies in the rejuvenation research space should come to look quite similar to Samumed in structure. Most legitimate rejuvenation therapies, those capable of at least partially reversing one of the root causes of aging, will be applicable to scores of age-related diseases. Companies will be limited in size and activity only by the amount of funding they can raise. It will not be unusual to see the likes of Samumed or Unity Biotechnology raising hundreds of millions of dollars for very broad pipelines, with trials of their technology for a dozen or more age-related conditions running in parallel. Samumed, LLC, announced today that it has closed its A-6 Round of equity issuance with $438 million, bringing its total equity raised to date to more than $650 million.The pre-money valuation for the round was $12 billion. "We appreciate the strong support from our investors, and we are now in a fortunate position to both move our later stage programs to commercialization, as well as expand on our earlier stage science and clinical portfolio." Samumed is developing small-molecule drugs that target the regenerative potential of the Wnt pathway in order to reverse the progression of various age-related diseases. Its development pipeline includes therapies focused on osteoarthritis, degenerative disc disease, idiopathic pulmonary fibrosis, and Alzheimer's disease. A number of these therapies are currently in human trials, and some of them are currently in phase 2 testing. The Wnt pathway is a primary signaling pathway that regulates the self-renewal and differentiation of adult stem cells. It plays a key role in tissue repair and upkeep, and it helps the body repair and regenerate following injury. As we age, the Wnt pathway becomes deregulated, which leads to a decline of tissue regeneration and supports the progression of various age-related diseases. Samumed is focused on modulating the Wnt pathway in order to promote the restoration and health of diseased tissues by spurring effective regeneration. I posed this question in other forums, but does anyone have any clarity on how "real" this story is, or might this be a longevity industry "Theranos"
The amount here alone should be cause for Aubrey de Grey, Reason, and the other founders of the SENS movement to take a bow. Samumed is a child of the stem cell research field, quite disconnected from anything SENS. I think that enormous funding prior to showing really compelling results coupled to a culture of secrecy is a red flag. Note for caution, and the point about Wnt touching everything is certainly true. We shall see. Any successful fairly general regenerative or rejuvenative platform will be enormously valuable, but that doesn't mean that present valuations are based on a sensible assessment of that potential versus the usual herd animal spirits of investors. Looks like more "messing with metabolism" which could well end up in the mirror maze of trying to avoid side effects. 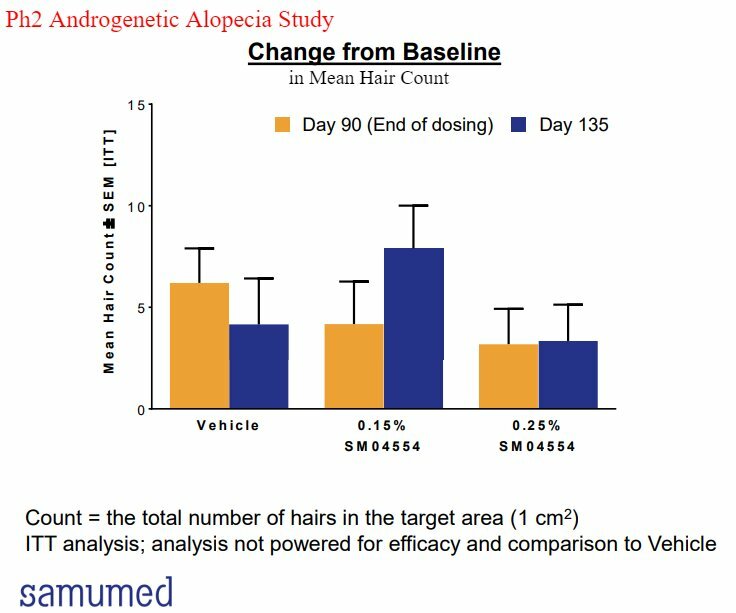 WNT has been targeted as a treatment for male pattern baldness without much success in the past. Also Samumed's biggest market is probably osteo arthritic knees, but in this area they face looming competition from the senolytic companies such as Unity and Oisin. I can't tell if there's actually a company anywhere underneath all those red flags. The other 'revolutionary' regenerative medicine companies I've seen in the aging space (e.g., Cellularity) are hype beasts. 12 US trials. 5 unique Australian trials. 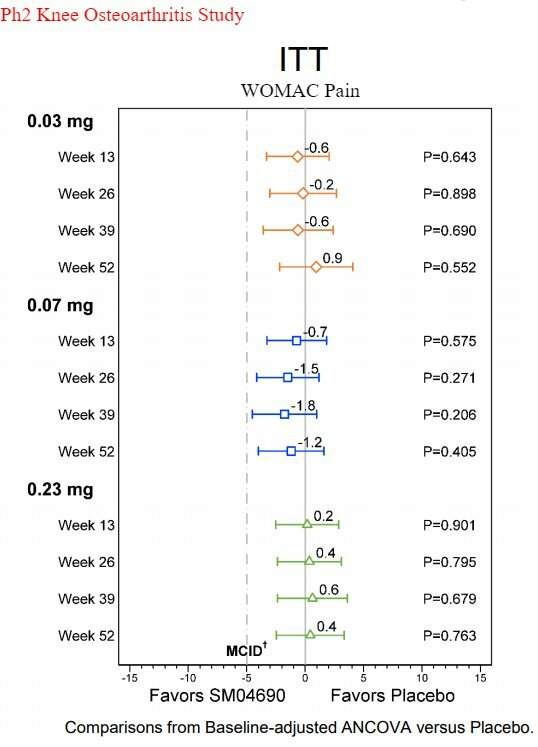 5 of those are Phase 2, 2 of those P2s had 450 and 700 patients for a single injection into the knee for knee Osteoarthritis. Co-founder Dennis Carson a humbly and quietly impressive academic drug developer, discoverer, and repeat co/founder (emtricitabine/triangle/gilead, dynavax, idec). Build a biotech work on something new that no one has, steal money and get away with it. Even if the company fails completely burning down the labs they still get rich.